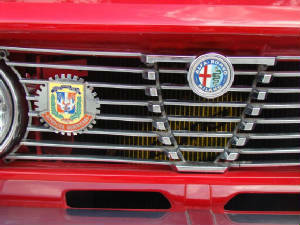 SUNDAY, APRIL 5 - FESTA BELLA MACCHINA: South Florida's most eagerly anticipated automotive event was a success! You're not going to believe it! 56 entries! We had to turn down latecomers because no more cars could fit in the entire street which was barricaded for our event. Ferraris! Fiats! Jaguars! Porsches! Lancias! Allantes! Panteras! Best of show went to a Bentley coupe! Thanks you to all the members that came. Click on the picture to link to the photo album.